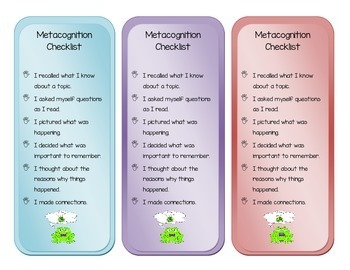 These are Metacognition Checklist Bookmarks for students to use while they are reading. It helps them to think about their thinking. You can print them off and laminate them so each student has a bookmark.